Matt has a Bachelor of Science degree in Exercise Science and a Master’s Degree in Exercise, Fitness and Health Promotion from George Mason University. While at George Mason, Matt also played for the Patriot’s Division 1 baseball team. Matt also graduated with an associate’s degree from Cochise College while playing baseball for the Apaches. Matt began his work in the field in 2006 working for Tony Decker at Temple University where he helped implement strength and conditioning programs for the Owls football, baseball, crew, basketball, track, tennis, and volleyball teams. In 2007, Matt took the assistant strength and conditioning coach position at American University in Washington DC where he worked with all sports for the Division 1 Eagles athletics program. After leaving American, Matt became the head strength and conditioning coach at the prestigious St. Stephen’s & St. Agnes School in Alexandria VA, where he worked for 6 years. At SSSAS, Matt was responsible for teaching and overseeing the Upper School’s physical education classes, coaching the Olympic Weightlifting Club, and training all of the school’s sports teams. While at SSSAS, Matt started a school non-profit CrossFit Affiliate called CrossFit SSSAS and re-wrote the Upper School’s Physical Education Curriculum to incorporate CrossFit methodology. During this time, Matt trained kids and teens from age 10 to 18 and he prided himself on being able to motivate students of every ability level, from non-athletes to the future professional athlete. In 2009, Matt was also the strength and conditioning coach for the women’s professional football team, the D.C. Divas during which time the team finished 2nd out of 56 teams. Matt also worked as a personal trainer and strength coach at Breakaway Fitness and Breakaway Sport in Tyson’s Corner Virginia with his wife Melissa. While at Breakaway Fitness, Matt had the opportunity to work with people of all ages and training backgrounds. 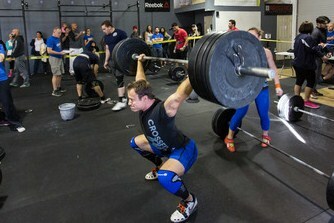 Matt has competed and coached in CrossFit, powerlifting and Olympic weightlifting. In 2008, Matt held two records in the International Powerlifting Association for the Squat, and Total in the Raw Amatuer 181lbs weight class. Matt also won the Olympic weightlifting Blue Ridge Championships and Virginia State Championships in 2011 in the 85kg weight class as well as the 2011 Capitol City Open in Washington DC. Matt has also coached at the last 5 consecutive USA Weightlifting National Championships as well as many local meets in Arizona, Virginia, Washington DC, Pennsylvania, New Jersey and Maryland. Most recently, Matt has taken an interest in improving function for the active aging population. His goal with this program is to help active adults continue the activities they love throughout their later years in hopes to add life to their years and not just years to their life. His influences are Dr. Cody Sipe and Dr. Dan Ritchie from the Functional Aging Institute, from which he has obtained their distinction of Certified Functional Aging Specialist. Since Matt has moved to Tucson he has been coaching Olympic weightlifters, training athletes, personal training people of all ages and ability levels, and is now fulfilling his dream of running a gym alongside his wife Melissa in a location they love! Matt is truly passionate about training people who have a genuine desire to improve their performance and lifestyle and is grateful for the opportunity to play a positive role in every client’s life, no matter how large or small.